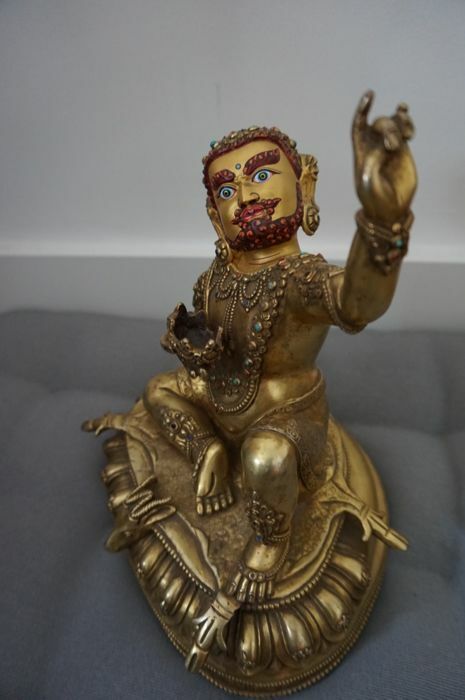 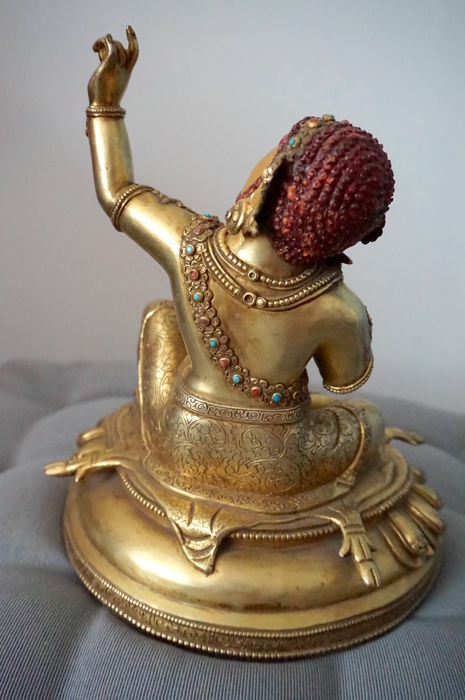 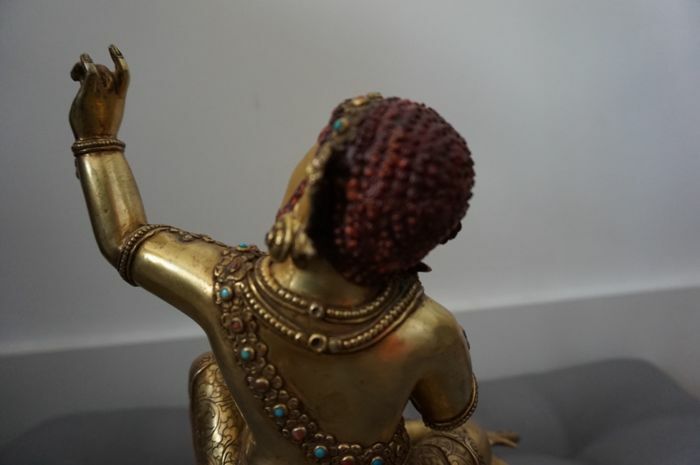 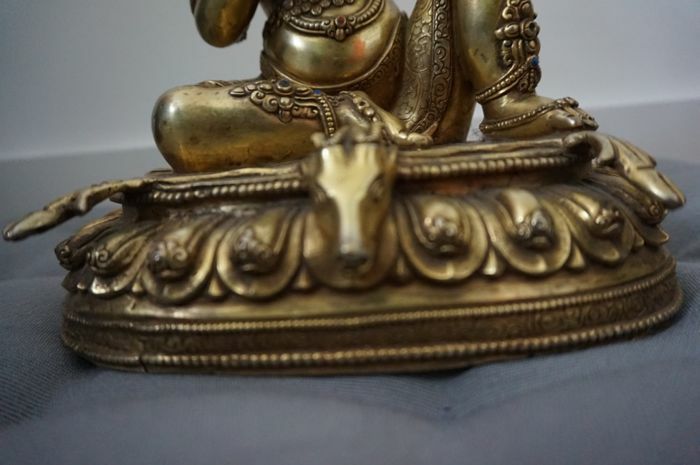 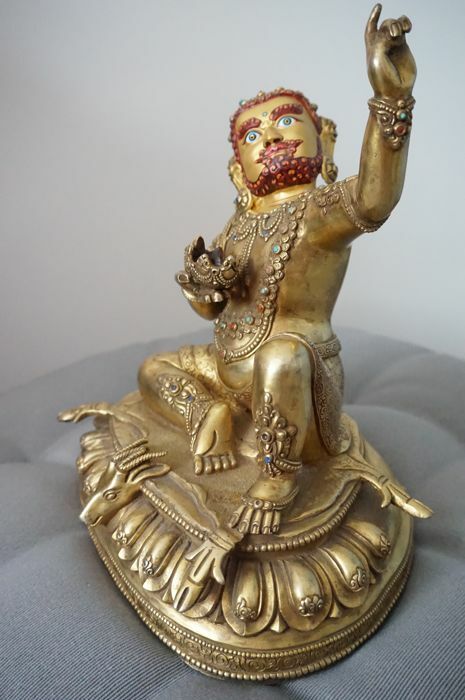 This is the statue of Virupa is one of the most beloved mahasiddhas who may be taen as the patron of the sakyapa sect and instituted the Lamdre ( tibetian: Lam Bras) teaching, lived in 9th century and was known for his great attainments. 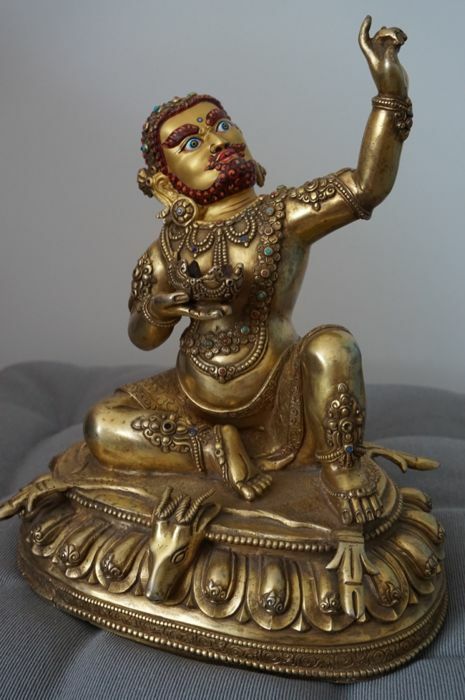 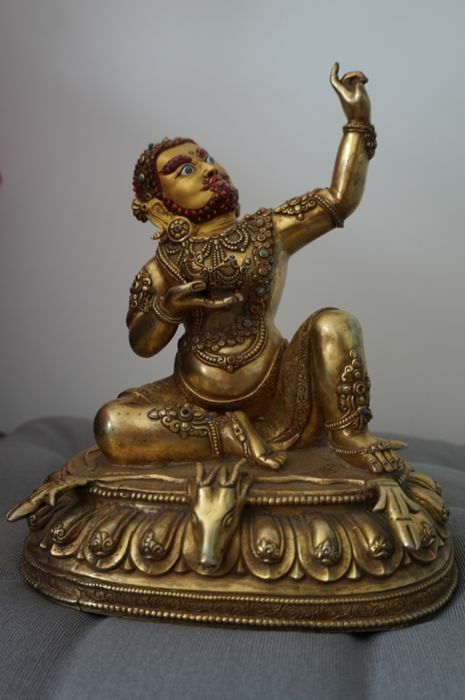 He is also known as the " Dakini Master". 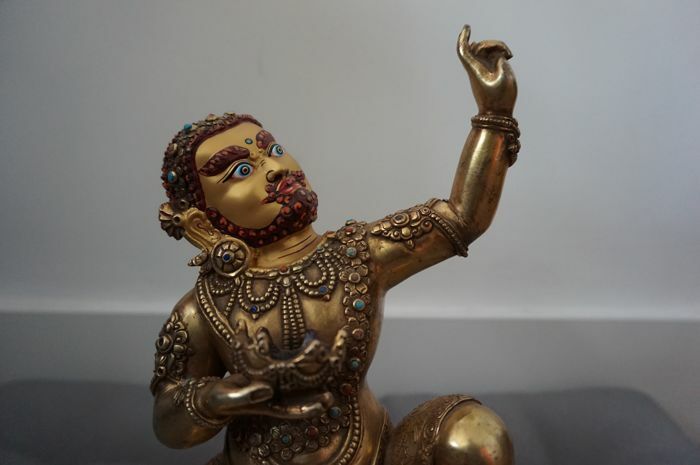 The statue is hand made in Nepal, Patan ( city of art) in Kathmandu valley, by the well known artist of the city. 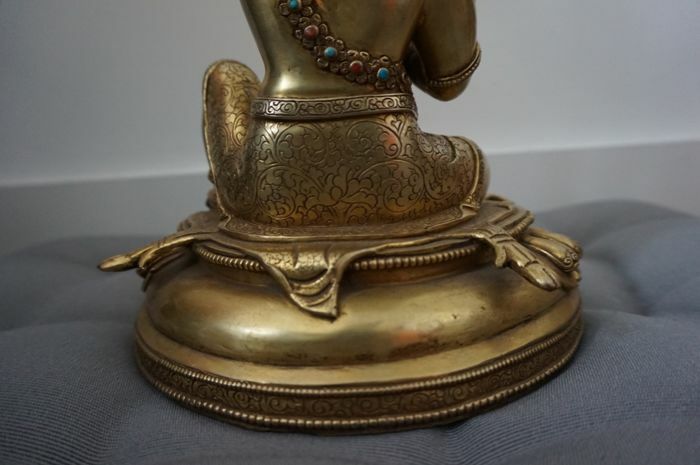 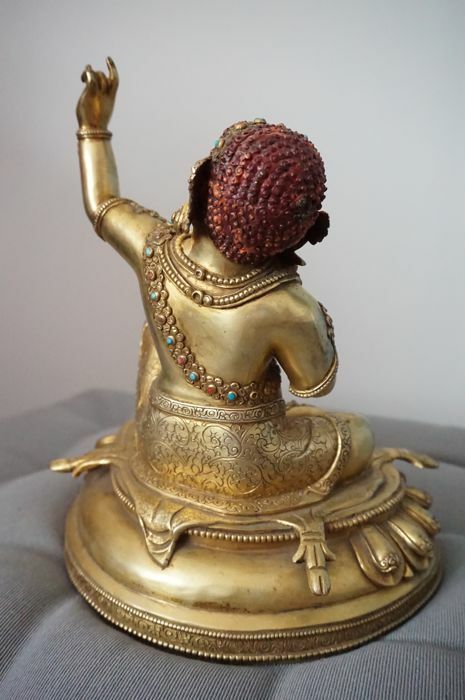 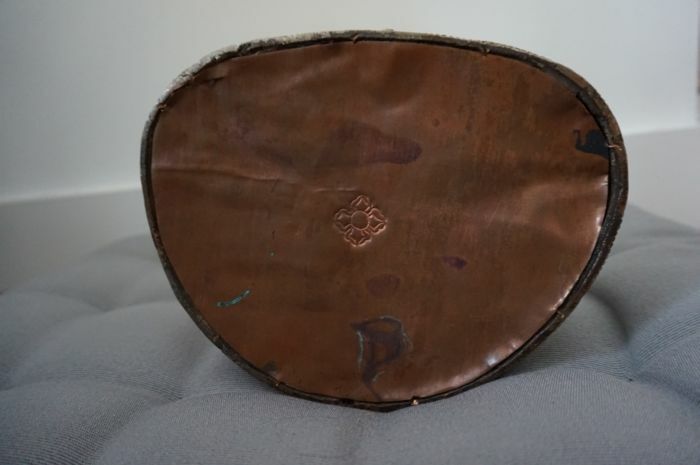 The statue is made of copper with gilt plated, 25-26 cm tall, base 20cm*16cm. 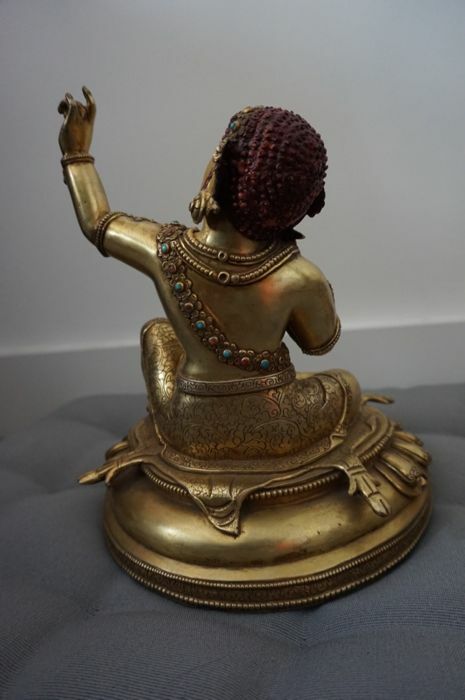 This statue is made in a traditional way where the artist has shown the arts carried out for many centuries for this rare Virupa statue.